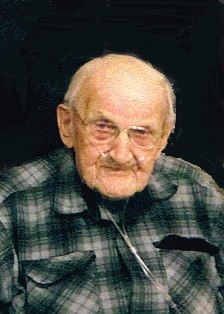 Walter E. Mattson, 100, of Sparta, passed away Tuesday, January 22, 2019, at the Morrow Memorial Home, Sparta. He was born November 16, 1918 to Rupert and Anna (Oleson) Mattson in Bayfield, WI. Walter’s mom passed away when he was young and he was moved to the Wisconsin Child Center in Sparta. He married Margaret on October 10, 1937 in Iowa. She preceded him in death 1989. He served his country during WWII in the US Army from June 29, 1944 until his honorable discharge on December 5, 1945. Walter enjoyed doing yard work, fishing and traveling. Walter is survived by his three children, Stan Mattson, of Mauston; Jerrilyn (Jim) Garza, of Sparta; and Bruce (Kathy Maurer) Mattson, of Sparta; grandchildren, Christy, Janie, Jay, Christopher, and Brian; great grandchildren, Nathan, Alecia, Lionel, and Hunter. He is further survived by several great great grandchildren; and many nieces and nephews. He was preceded in death by his wife, Margaret; parents, Rupert and Anna; a son, Ronald Mattson; three brothers, Roy, Melvin, and Oswald; and a sister, Thelma. A funeral service will be held at 11 a.m. on Saturday, January 26, at the Lanham-Schanhofer Home, Sparta, with Reverend William Clyma officiating. Burial with full military honors provided by VFW Post 2112 will follow in Mt. Hope Cemetery, Sparta. Visitation for Walter will be on Saturday from 10 a.m. until the time of services. Online condolences may be offered to the family at www.schanhoferfh.com. The family would like to thank the entire staff at the Morrow Memorial Home in Sparta for the wonderful care given to Walter.